Compatible coffee capsules for use with Nescafé®* Dolce Gusto®* machines. Italian espresso, smooth with plenty of body and flavour with a strength of 8 out of 10 this is just right for drinking straight as an espresso, or for topping up with water to make an Americana. 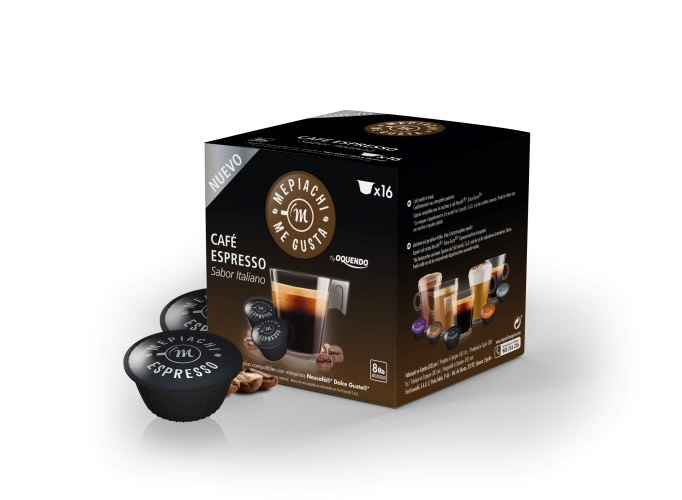 These compatible capsules are an alternative to Dolce Gusto own brand coffee pods, but we think a lot better tasting. Café Espresso produces a fantastic authentic.